Q: My message light is always on, even when I have checked all my messages, how do I turn it off? Q: My message light does not turn on? A: Intercom 165, enter password, Press 5 to setup message waiting notification, Press 1 to change the message waiting lamp status, make sure it is enabled. Q: The alarm light on my system is on, what does this mean? A: The alarm light can go on in an event of a power failure or reboot of the phone system and is not something to be concerned about. Q: How do I check my messages from outside the office? 2. Ask whoever answered the phone to transfer you to your voice mail. You will hear your own greeting. DURING your greeting, press [#][*] plus your extension or mailbox number. Q: How do I forward my extension to my cell phone? 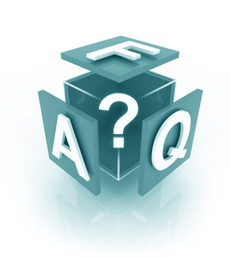 Q: If I have questions or need work done on the phone system, who do I contact? A: Please send an email to service@ansatel.com and someone will get back to you.